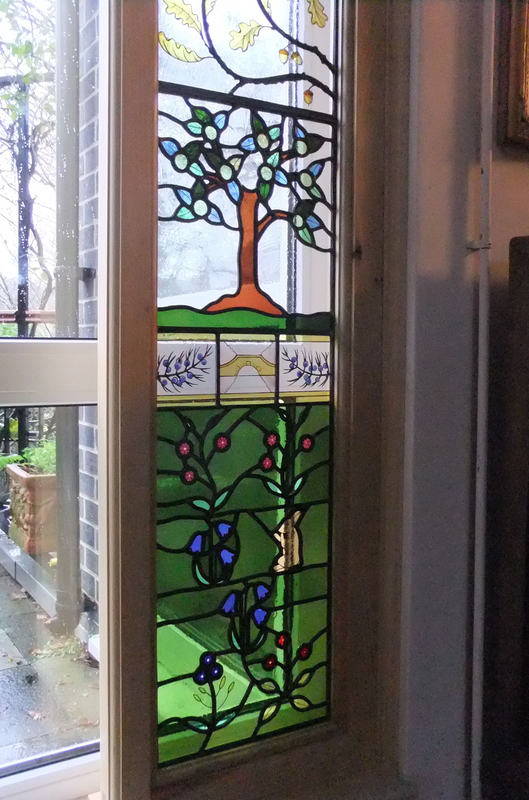 This 8oth birthday window has been successfully installed. The design is based on the Cluny tapestries and the Arts and Crafts style. 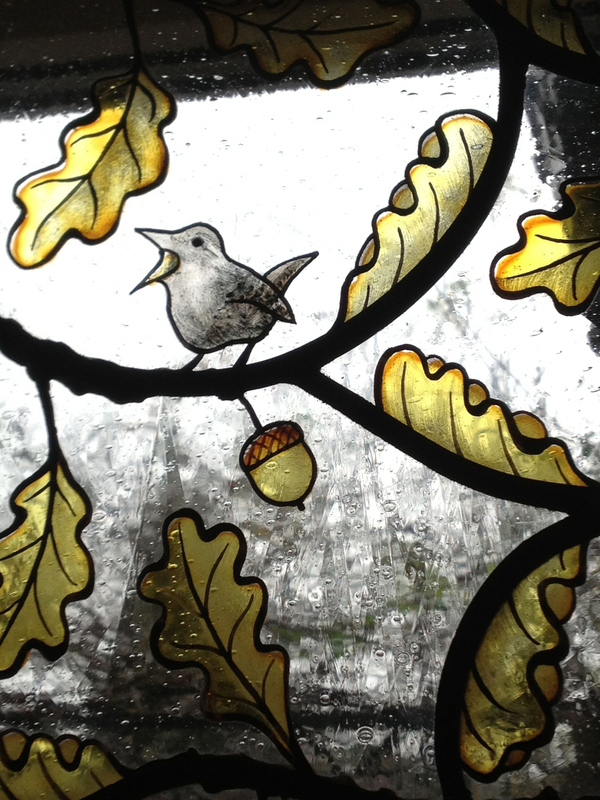 The oak leaves, acorns and details are all hand-painted and silver-stained to give a lovely golden effect. The top half of the arch is paler to allow the light in. The middle strip is based on the client's name. 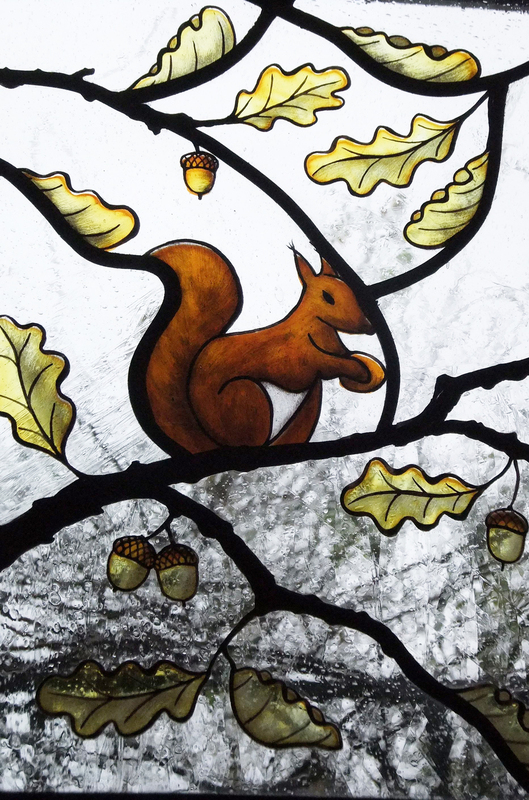 The client wanted a few animals nestled in the oak leaves for her grand-children to find. 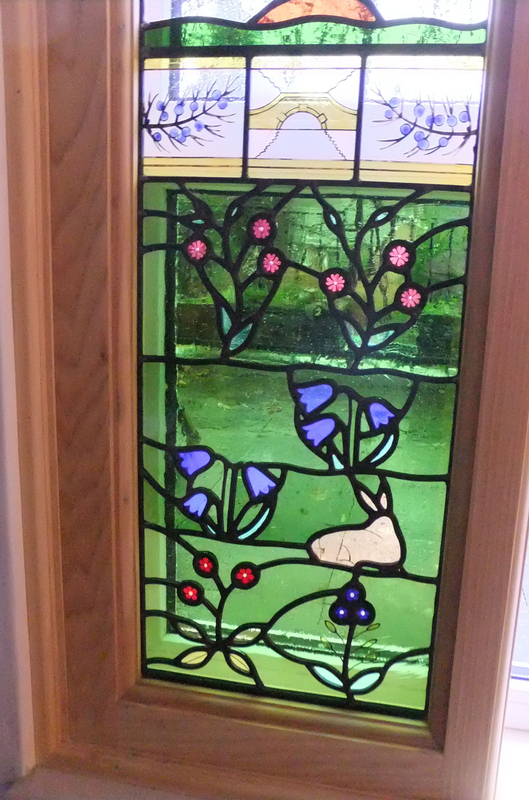 I am pleased to say that the client was very happy with it!